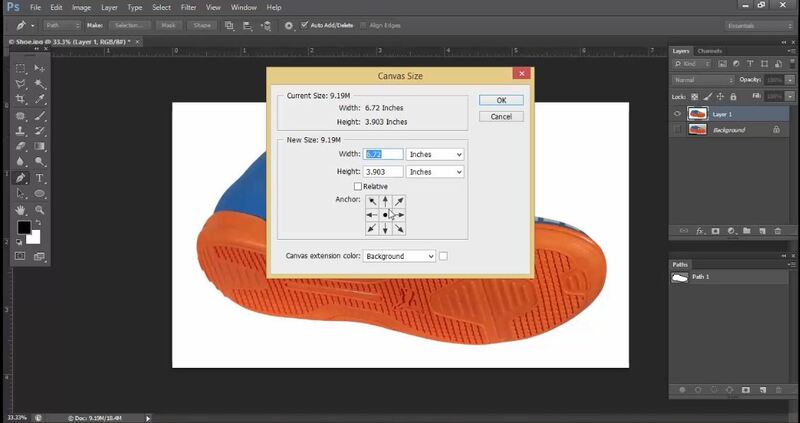 At first you have to open the image in Adobe Photoshop Software. 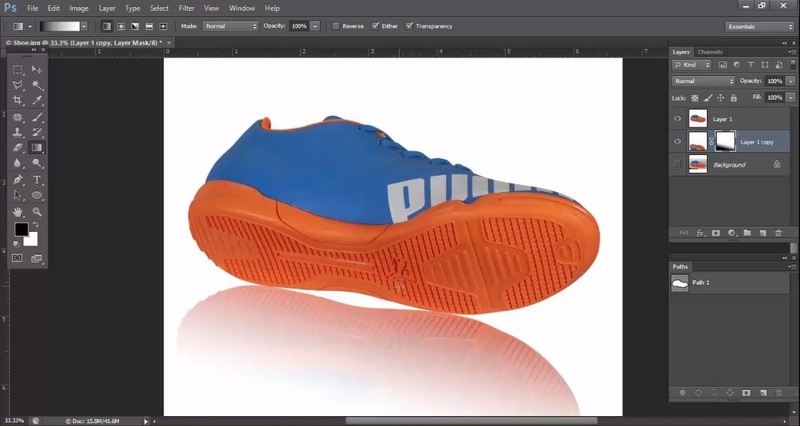 Then select the pen tool and then create a new path from path palette. 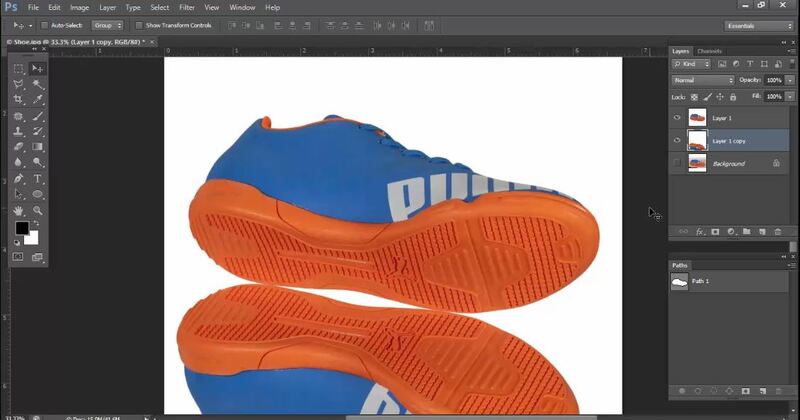 Create outline 1 pixel inside around the shoe using pen tool. 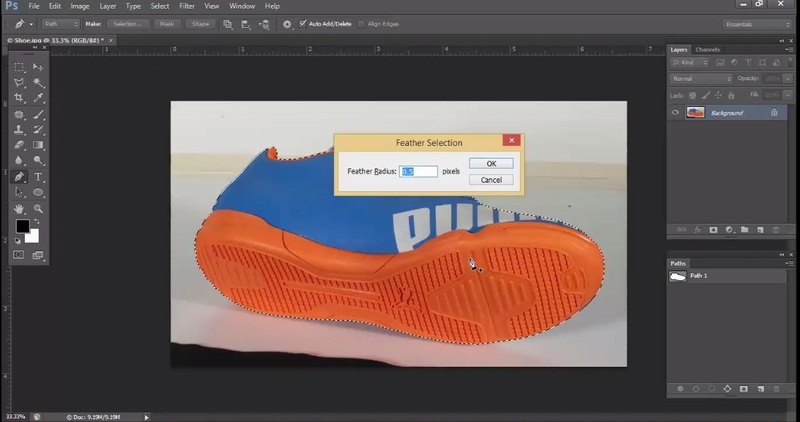 Select the shoe by holding down the Ctrl and click with path. To make your image edge smooth press Shift+F6 and apply 0.5 feather. To make reflection on the bottom extend canvas size wide top to bottom. For this you can follow this: Menu>image>canvas size. The width and height of the Canvas should be equal. Here we have copy the width value and paste it into height value section then press Enter. 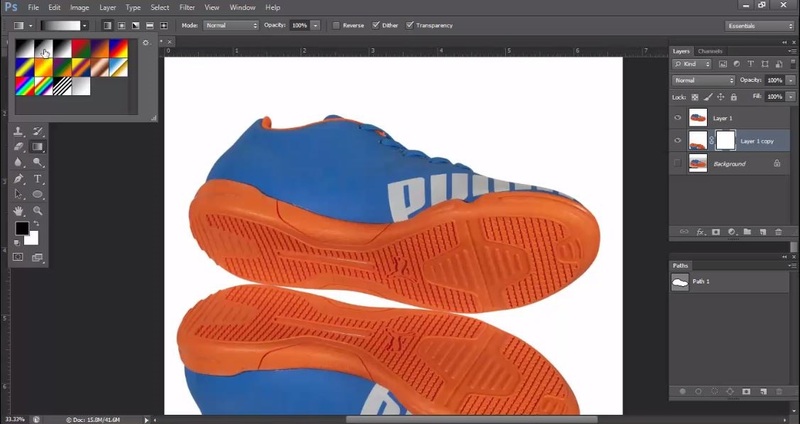 To create the duplicate layer, Press Ctrl + J twice to create two duplicate layers from background layer. 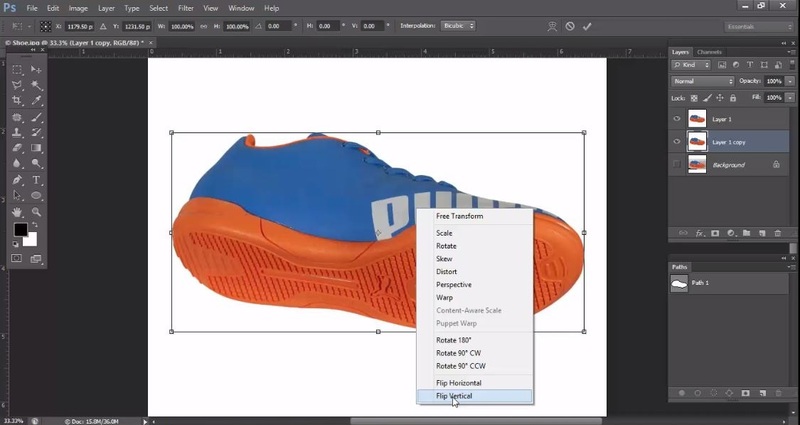 To create vertically flipped shoe image press Ctrl+T and click right button on the transform mode and press the vertical flip. Now drag the image by leveling the bottom edge of the shoe. Now apply mask on the bottom layer. Then from Tool Bar, select Gradient Tool>Sub Menu>Color. From Color option, select the top fill color black.